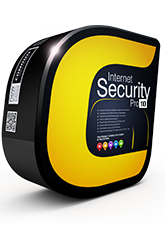 Comodo Internet Security Pro 2012 offers extreme protection backed by Comodo’s Virus-Free Guarantee. Combined with additional feature such as 24/7 365 day remote support, Comodo Internet Security Pro 2012 offers a better solution to your Internet security needs. How to get it . And install it. It will not ask for serial and it is for 1 year but it is 2011 version so if you want 2012 version download a trial from comodo site or from below links. To install 2012 version first open your installed 2011 version and click on (More>About ) there you will see serial number write down it. Now Install 2012 version and when it ask for serial paste the serial you wrote down. Enjoy Now You Have A One Year Comodo Internet Security 2012 Pro.